The CCIS is built upon our CareDirector software solution and it is designed to deliver an integrated health and social care solution for the people of Wales. It will enable health, social services, mental health, therapy and community services to deliver effective care and place the people receiving the care at the centre of the process. CareWorks would like to congratulate Bridgend County Borough Council with their recent Go Live. 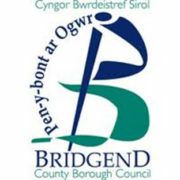 This has been a successful partnership between both organisations and CareWorks is looking forward to working closely with the team at Bridgend in the future. With the first successful ‘Go Live’ completed, we are happy to say that implementations are taking place at 10 more Health Boards and Councils.